Peripheral neuropathies (PN) are common and debilitating disorders of various origin (metabolic -e.g. diabetes, toxic – e.g. chemotherapy, or genetic). Biomodels offers rodent models of PN for the assessment of safety and efficacy of investigational compounds. Electrophysiological nerve conduction measurements (or neurography) are non-invasive tools considered the “gold standard” for determining early changes in motor and sensory nerve function that can be applied to the characterizations of all peripheral neuropathies or to assess the effects of neuroprotective agents. A decrease in nerve conduction velocity (NCV) is usually seen with all neuropathies, regardless of their origin. Additional behavioral and histopathological endpoints are added and customized based on the compound studied. Peripheral neurotoxicity is a disabling clinical adverse effect of chemotherapeutic drugs, frequently evolving after a single drug application and resulting in damage to the neuronal cell body, the axonal transport system, the myelin sheath, or the glial support structures. CIPN is dose limiting and often severely impairs the quality of the patient’s life. As most therapeutic approaches are restricted to symptomatic treatment of paraesthesia and pain, effective neuroprotective strategies to prevent or minimize the symptoms are a current focus of research in CIPN. Relevant preclinical animal models are key in the development of neuroprotective strategies and in the design of novel chemotherapies with improved toxicity profiles. As the causes of neurotoxicity can be complex and dependent on the type of compound, preclinical models need to be flexible in capturing key biomarkers of function common to all chemotherapeutic agents. Biomodels’ approach to testing effects of chemotherapeutics or neuroprotective agents involves the longitudinal assessment of electrophysiological functional endpoints common to all types of CIPN. Electrophysiological nerve conduction measurements (or neurography) are non-invasive tools considered the “gold standard” for determining early changes in motor and sensory nerve function that can be applied to the characterizations of all peripheral neuropathies or to assess the effects of neuroprotective agents. A decrease in nerve conduction velocity (NCV) is usually seen with all classes of chemotherapeutic drugs. Additional behavioral and histopathological endpoints can be added and customized based on the compound studied and the scientific question being asked. Diabetic peripheral neuropathy (DPN) is a common complication of diabetes, characterized by progressive, distal-to-proximal degeneration of peripheral nerves leading to pain, weakness, and sensory impairment. 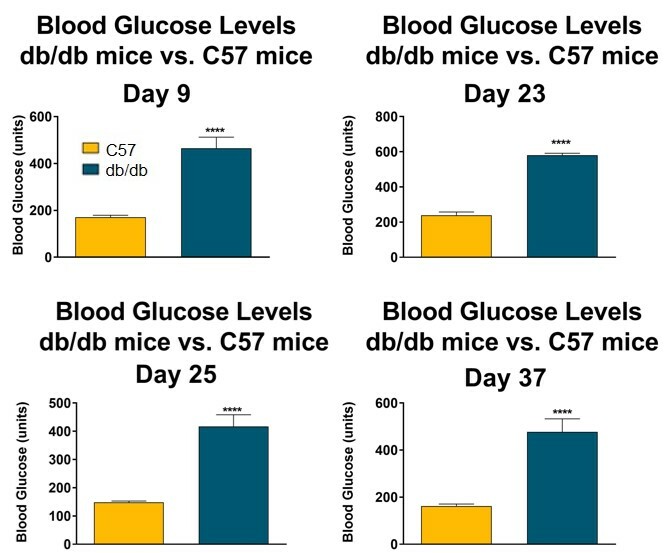 Relevant preclinical animal models of type 1 (T1DM) and type 2 diabetes (T2DM) are key in the development of neuroprotective strategies and in the design of novel therapies with improved toxicity profiles. Biomodels’ approach to testing effects of therapeutic agents involves the longitudinal assessment of electrophysiological functional endpoints common to all types of DPN. As a decrease in nerve conduction velocity (NCV) is usually seen with type I and type II diabetes, non-invasive tools electrophysiological nerve conduction measurements (or neurography) can be used longitudinally for determining early changes in motor and sensory nerve function or to assess the effects of neuroprotective agents Additional behavioral and histopathological endpoints can be added and customized based on the compound studied and the scientific question being asked.